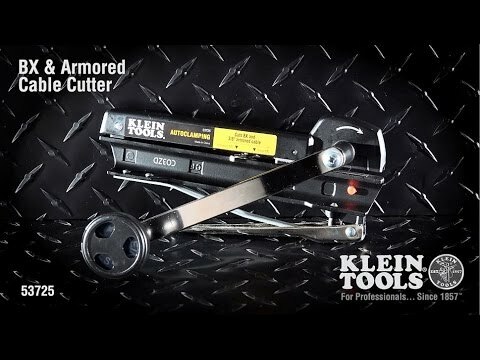 The Klein Tools BX and Armored Cable Cutter is simple to use. It easily cuts 3/8-Inch flexible conduit and #10, 12, and 14 armored cables with a couple of turns of the handle. Extra blades can be stored in the handle for convenience.